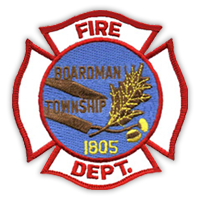 Boardman’s first fire station was built in 1926 for $7,147 with only one bay in the old section. According to historical documents, the station was remodeled in the early 1970s. On May 29, 2018, a brand new Main Fire Station went into service at the corner of Market Street and Stadium Drive. The $3.6 million, 18,000-square-foot station includes a training room, training tower and Administrative and Fire Prevention & Education Bureau offices. This is the location of the Chief and Assistant Chief’s office. 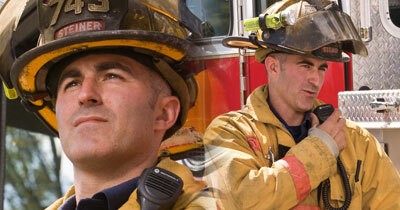 Included are living quarters for seven firefighters, a day area, kitchen, restrooms and showers. The apparatus bay at this station houses Engine 71, Tower 71, Command 71 and Chief 70. This station was built in 1959 and originally had living quarters for just two firefighters. Remodeled in the Spring of 2003, it is now able to house up to six firefighters. The station’s two-bay garage area houses Engine 73. When it first opened in 1961, this station had living quarters for two firefighters. Rebuilt in the Spring of 2003, it is now able to house up to six firefighters. The station’s two-bay garage area houses Engine 74 and the Mobile Safety Trailer.